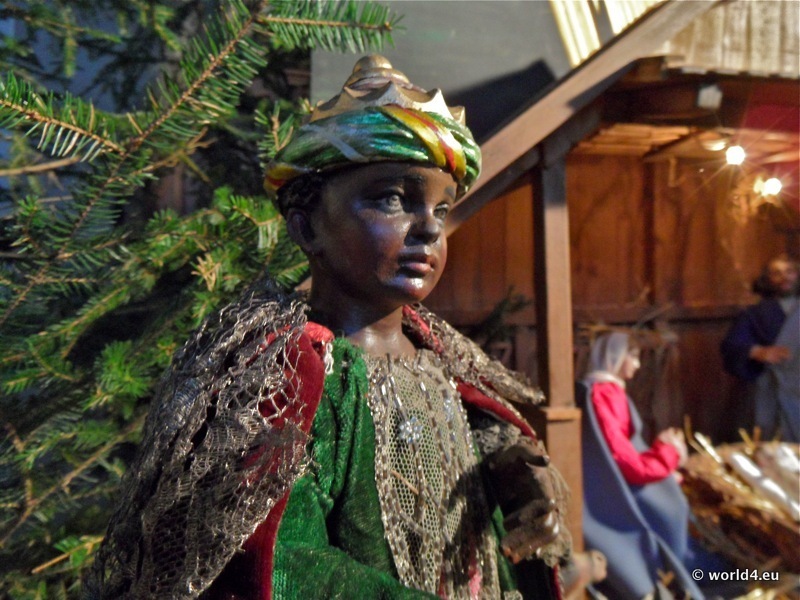 Christmas crib nativity scene. Diorama Bavaria 2011. 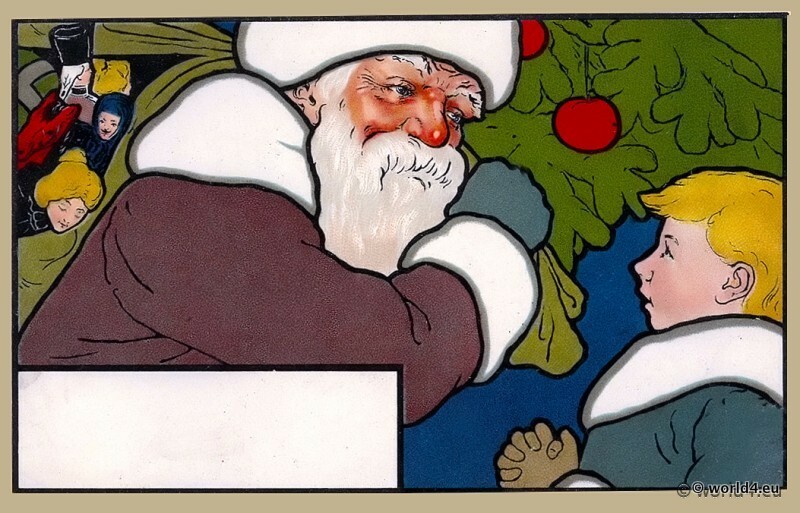 Vintage German christmas cards illustration 1910s. 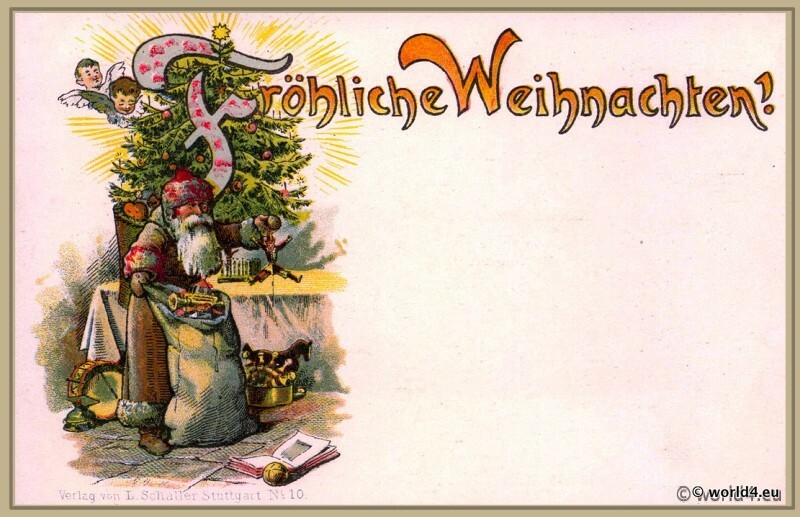 German christmas greeting card illustration 1910s. Old fashioned Santa Claus. Santa Claus in snowy christmas night. Santa Claus in snowy christmas night. 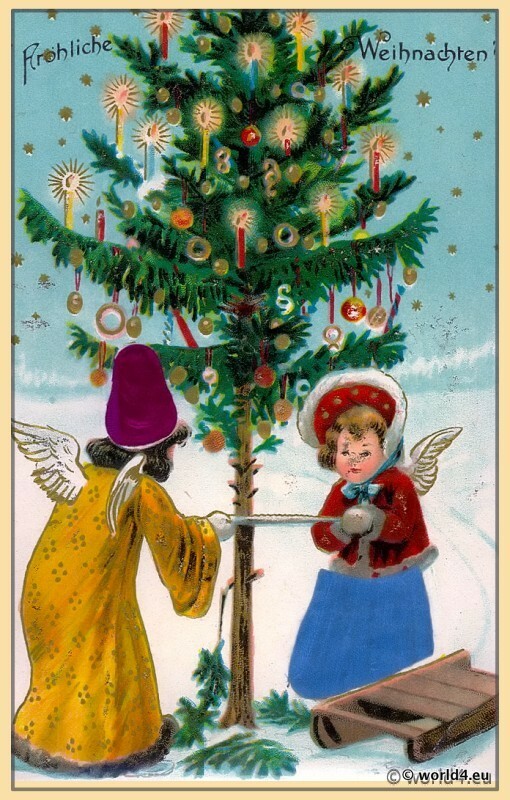 Vintage German christmas card illustration 1910s. 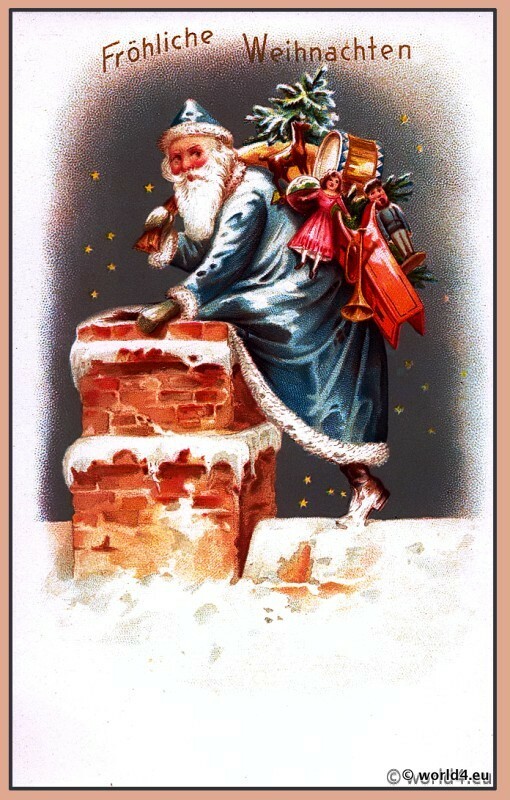 Santa Claus climbs up a chimney . Two angels decorate a Christmas tree. Old fashioned christmas card. Two angels 1910s. Two angels in a nightly snow landscape decorate a Christmas tree. Santa Claus with presents and old dolls in a snowy winter landscape. 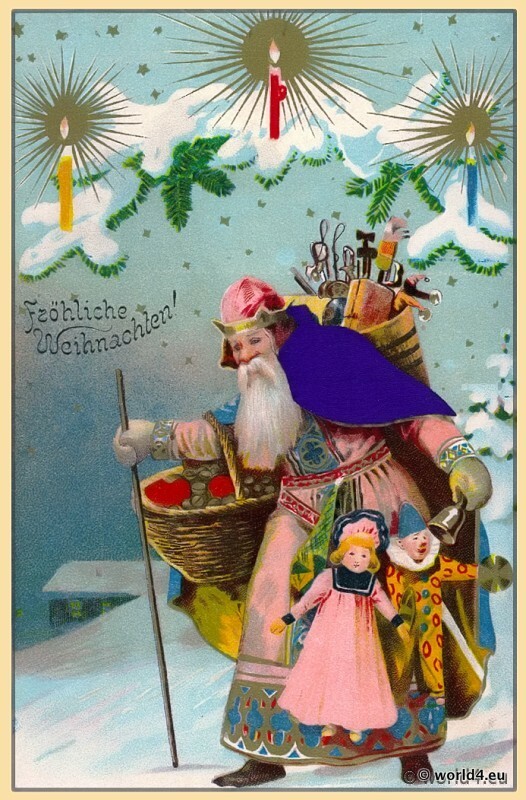 Old German christmas card illustration. Santa Claus wanders in a nightly snow landscape with a sack full of presents. Merry christmas card. Santa Claus with two children. Merry christmas card. Santa Claus with two children. 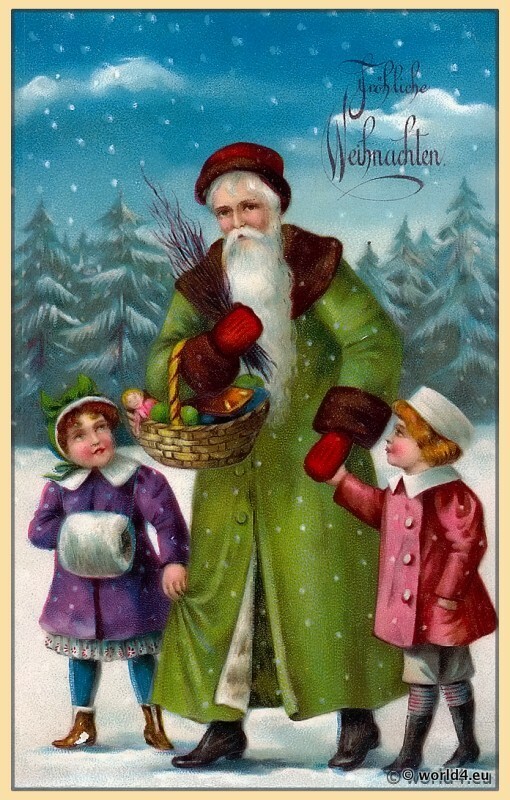 Santa Claus with two children in a snowy winter landscape. Old children fashion.